The award was announced in London on Thursday night at the Armed Forces’ top catering event, the Cost Sector Awards. This honour recognises Petty Officer Bailey as an individual who has had an outstanding career, achieving excellence over many years of service, and who has shown dedication above and beyond the call of duty. 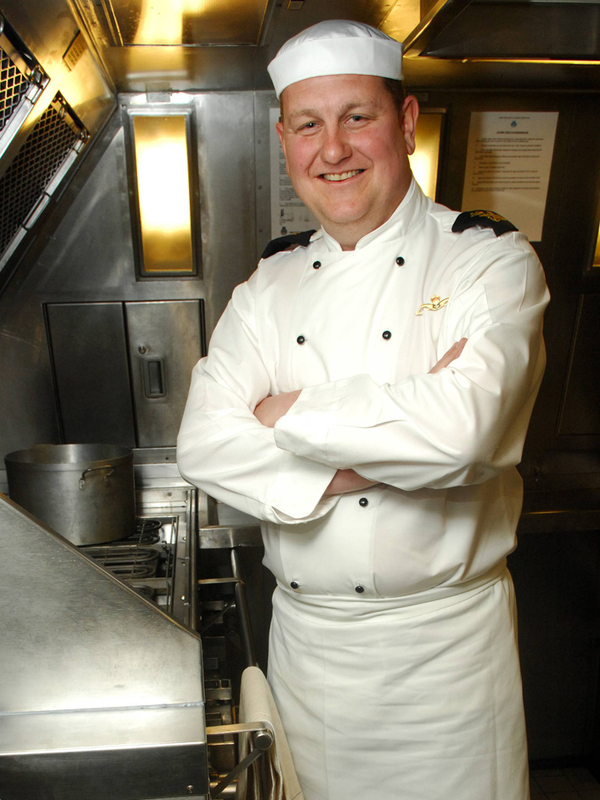 Andy Bailey, aged 39 and originally from Woolingham in Surry, has been in the Royal Navy for 19 years. On being awarded first place he said: “Winning the award is an honour and a privilege. The secret of my success is my team.” He added that if the crew didn’t like the food, he’d get 130 critics lambasting him and that the Ship’s Company appreciate good home-made cooking whilst they are away, especially steak and kidney pudding and the old favourite ‘cheesy, hammy, eggy’.